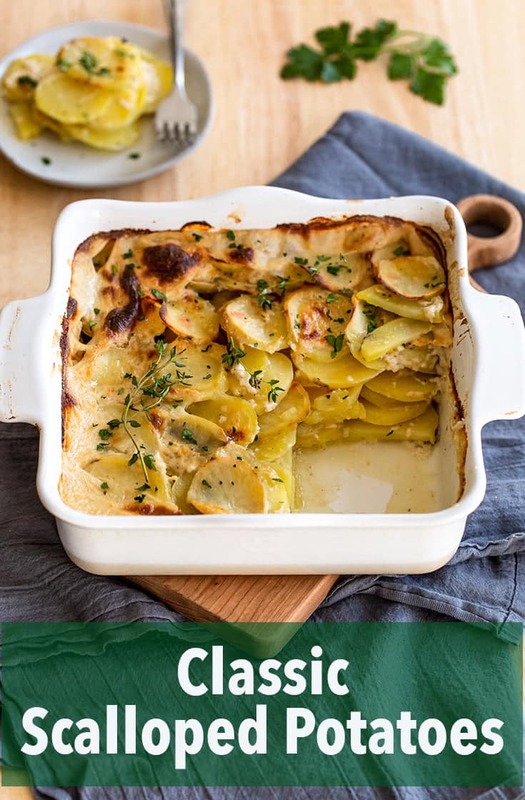 These classic scalloped potatoes are creamy and baked to perfection. The ingredients are simple, just some butter, flour and milk over gold potatoes. I love a good scallop potato recipe. This one is a classic as they come. Just a mixture of butter, flour, and milk poured over thinly sliced golden potatoes. And then, you pop it all into the oven and bake it to creamy perfection. One thing I find that works well is heating the milk before I make my cream sauce. Everything just seems to incorporate a little bit better. 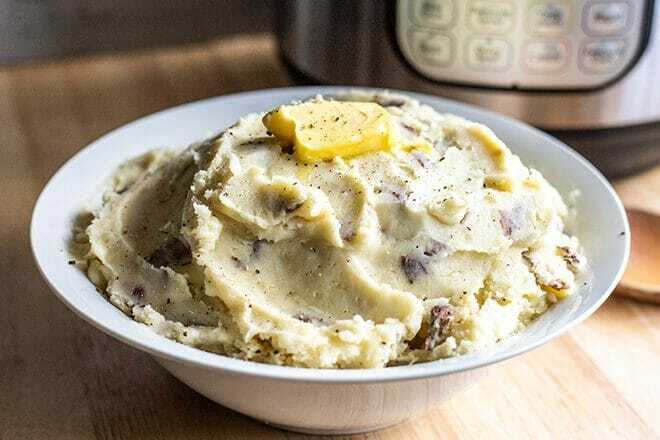 I sometimes do this when I make mashed potatoes, even sometimes when I make my Instant Pot Mashed Potatoes. 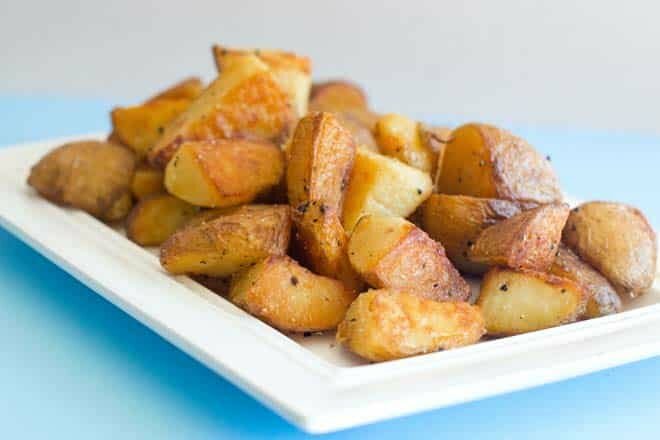 I really like gold potatoes for this recipe, too. Their creamy texture and rich flavor lend really well to baking in a casserole. Speaking of potato casseroles, this Scratch Made Hash Brown Casserole is to die for. 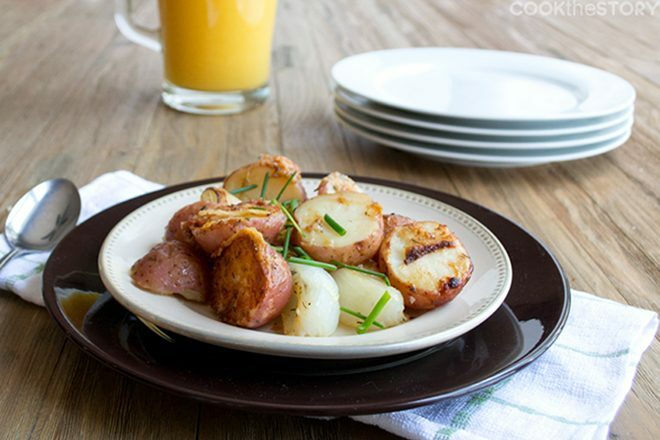 There’s just something mandatory about having potatoes in any form on the table during the colder months. This is a really great recipe to bake up and take to a friend or family member if you’re in the mood to bring them something special. Who doesn’t love a big pan full of comfort in front of them at the end of the day? 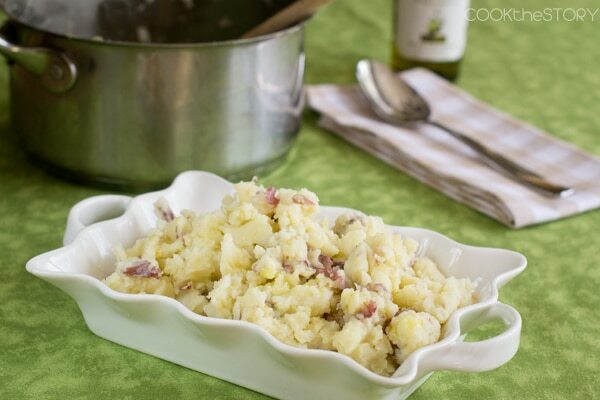 Thinly slice the potatoes and lay them in an 8×8 inch casserole dish. Pour the milk into a small saucepan and heat it over low heat, being sure not to let it boil. Add the butter to a large saucepan and melt over medium heat. Add the onion and saute for about 5 minutes, until the onion is just soft. Add the flour, salt, and pepper and cook for 3 minutes. Pour in the warm milk and let the mixture thicken for about 5 minutes. You want it thick enough to pour over and cover the potatoes. Pour the sauce over the potatoes, coating them, and cover the dish with foil. Bake for about 35 minutes, remove the foil, and bake for an additional 10, or until the top is golden and the potatoes are soft. 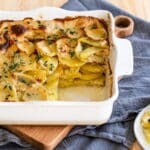 These baked scalloped potatoes are simply delicious and very easy to cook.